Meditating upon these aspects, AzhwAr says that it is agreeable to all that emperumAn with such qualities and having distinguished incarnations which reveal his ultimate simplicity, is the only refuge for one’s removal of unfavourable aspects and attaining of favourable aspects. In the previous decad, AzhwAr enjoyed emperumAn’s victories; these are for the sake of the followers. AzhwAr becomes amused thinking “while emperumAn is presenting himself for the people [of this world], these people are still attached to other matters”. As said in yajur brAhmaNam 3.7 “yasyAsmi na thamantharEmi” (For whomsoever I am a servitor, I will not leave him and go to anyone else), the one whose presence sustains everyone, he presents himself to everyone starting from the time of his birth. Meditating upon emperumAn incarnating in many births for the protection of everyone, his act of placing his svarUpa (true nature), rUpa (form), guNa (qualities) etc for the sake of others, his being the embodiment of the compassion which is the cause for aforementioned aspects, and the acts resulting out of that compassion, AzhwAr becomes amused at these samsAris (materialistic people) who, while having this great treasure (emperumAn), are seeking worldly wealth similar to what is said in “apavarakE hiraNya nidhim nidhAya upari sancharanthO yathA na dhrakshayanthi“; while there is treasure buried underneath the centre of the home, walking over it several times to acquire knee pain, without knowing the presence of such treasure. It was said that, kUraththAzhwAn, once explained this whole decad in the context of SrI rAmAvathAram. The reason for that is, as said in “one among thousand” and “a small pit in the ocean”, each avathAram has a few qualities from the many wonderful qualities of perumAL (SrI rAma). After meditating upon SrI rAma’s life as said in thiruvAimozhi 7.3.7 “pEr eyil sUzh kadal then ilangai seRRa pirAn” and thiruvAimozhi 7.4.7 “mARu niraiththu iraikkum sarangaL“, which were previously mentioned, through this, other avathArams of emperumAn are thought about. Even those who are immersed in other avathArams, will praise SrI rAma as in thiruppAvai 12 “manaththukku iniyAnai” (one who is pleasing to the mind), when they incidentally think about him. siRiyAththAn knowing well “bhattar is partial towards SrI rAmAvathAram”, and desiring to find out how bhattar would mercifully clarify his doubt, asked bhattar “While perumAL has all good qualities, he does not have the nIrmai (saulabhyam, being easily approachable) of krishNa who went as a messenger with the message tied to his neck when the pANdavas said ‘you go as a messenger on our behalf “; bhattar mercifully explained “it is not like that; he did not go as a messenger since no one requested him to do so [had anyone asked him to do that, he would have done that too]”. There was no other emperor [superior to SrI rAma, at that time]. Since he was born in the dynasty of emperors, there was no one who could ask him to do that. One who could give up his throne and walk to the forest with matted hair, would not have refused to be a messenger too. Now, siRiyAththAn asks again “One may go to the forest; but isn’t it more difficult to enter the assembly of dhuryOdhana?” mahAbhAratham udhyOga parvam 95 ‘yathra sUktham dhuktham vA samam syAn madhusUdhana’ (vidhura says – Oh madhusUdhana! Where good words and bad words have no difference, learned person will not speak there). He entered the assembly of dhuryOdhana which did not understand the difference between krishNa’s firm statement “you should at least give five towns to pANdavas” and dhuryOdhana’s reply “I will not give them even the land required to place a small pin”. 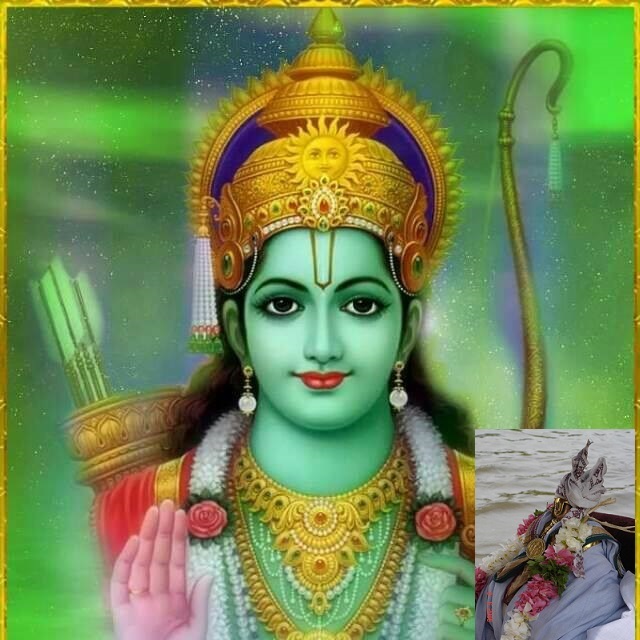 bhattar says – As SrI rAma realised the greatness of thiruvadi (hanuman) for going as a messenger, he himself went as a messenger in krishNAvathAram as said in periya thirumozhi 2.2.3 “pinnOr thUdhu Adhi mannarkkAgip peru nilaththAr innAr thUdhan ena ninRAn” (SrI rAma, subsequently in krishNAvathAram, went as a messenger for the pANdavas, to be wondered by the people of the world “emperumAn has lowered himself to be called as the messenger for pANdavas”). This entry was posted in thiruvAimozhi, thiruvAimozhi 7th centum on September 3, 2018 by Sarathy Thothathri.